I love that my girls are getting older and turning into little people that can have their own personalities and creativity and inspiration. 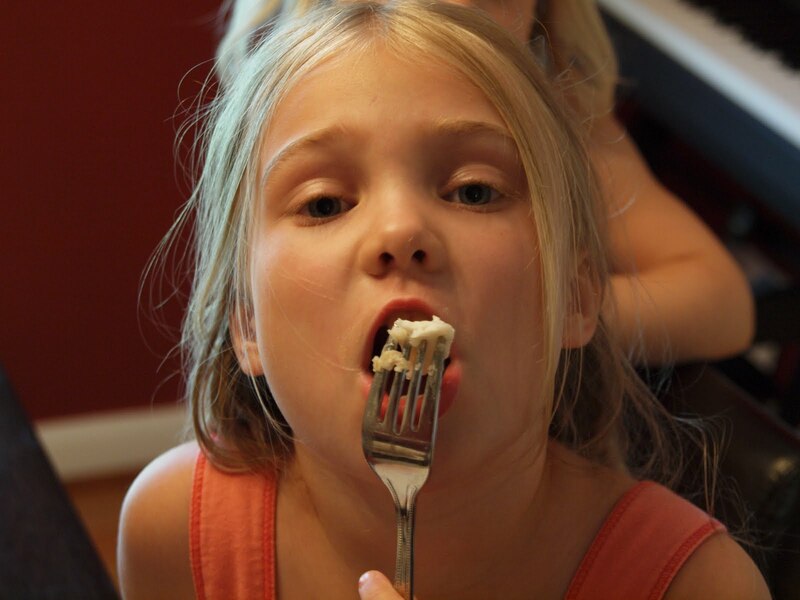 Last week, my oldest daughter was inspired by the recently concluded season of "Top Chef Masters" as I was catching up on the episodes on my DVR. She got so excited about cooking and asked if she could cook dinner on Saturday night. She wanted to serve fish. So after talking her out of the farm raised salmon (that had a sign on it stating it had been given special food to make it orange), she chose the wild halibut. $41.97 later (seriously!) I told the girls they better eat all of this fish. 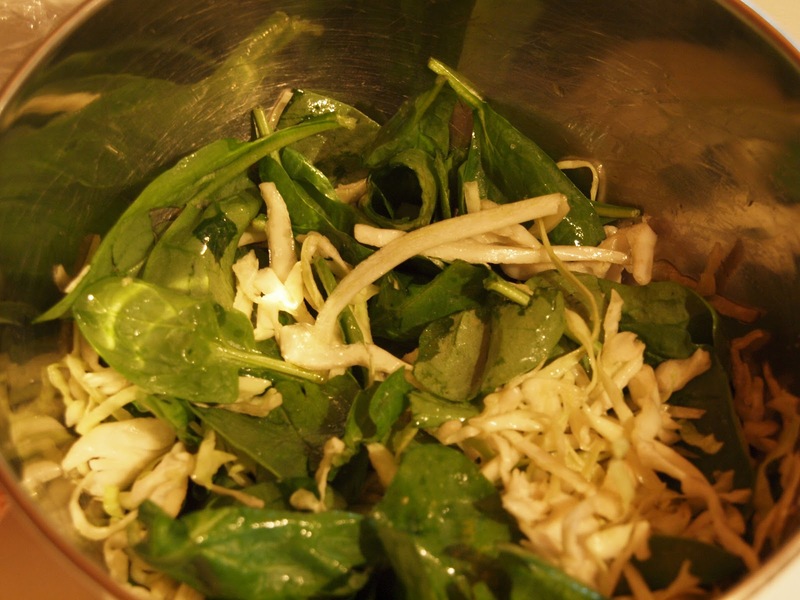 It consists of spinach and cabbage mixed with olive oil and salt. She said you are welcome to use her recipe. 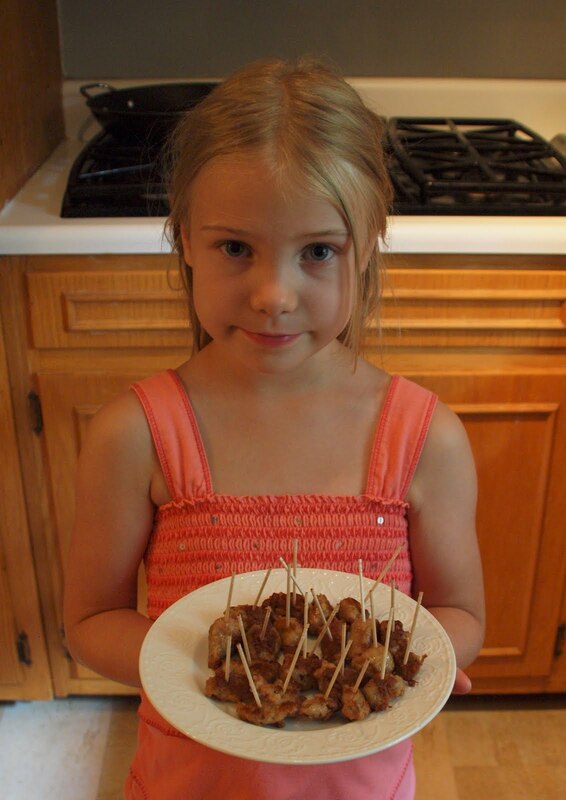 The first time she ever made this for us, I could hear Gail Simmons (Top Chef judge) saying, "This needs some acid." But the cabbage brillantly adds a little twang which makes up for the lack of acid in the dressing. 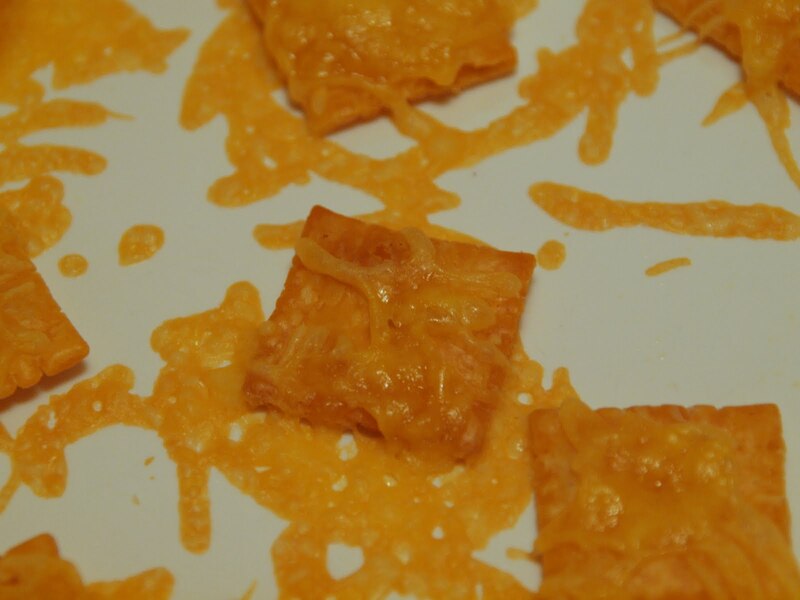 Sprinkle cheese onto Cheez-its. Bake until cheese is melted. 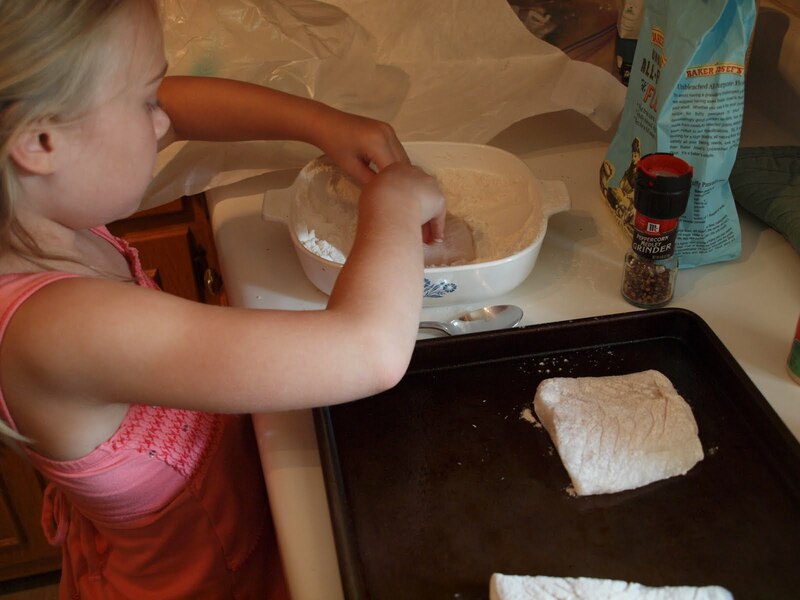 A big hit with younger foodies. In addition to cooking, she loooooooves to explain and teach. So, you may see this face (and the cheesy Cheez-its) on a cooking show one day. Yum, Yum! It all looks delicious.